Right to Read Summer 2019! Right to Read is one of York Cares oldest programmes. It aims to raise literacy standards in the city and encourage a love of reading. 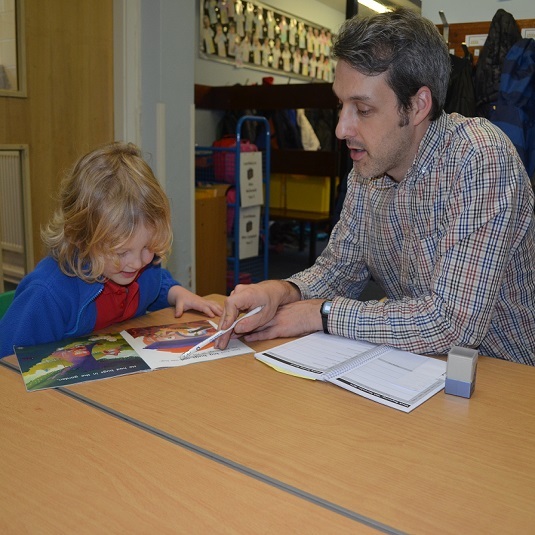 We work with schools in areas of need throughout the city, providing one-to-one reading support for primary school children who otherwise would not receive individual literacy support. We will aim to place volunteers close to either their home or work, whilst focusing on identified areas of need. You are asked to make a minimum commitment of one hour a week or fortnight for one academic term from May 2019 – July 2019 (with the opportunity to continue beyond this if you wish). A DBS is also compulsory for the scheme – even if you have one with another organisation. You are welcome to share your placement with a colleague and each attend school every other week. Please notify us of your pairing when you sign-up. Ready to begin your Right to Read Story? Book your place now on our training session on Friday 29 March at 12-2pm held in the city centre, by emailing Shannay at info@yorkcares.co.uk to register your interest.